Antony N Britt (calls himself Nick, to be awkward) is the author of horror novel, Dead Girl Stalking – a page-turning tale that slaps you in the face when you least expect it. He lives in Walsall in a house full of CDs, videos, books and many unread pieces of paper which may hold the secret to eternal life, but are most probably pizza menus. Mark, who loves Alison, but must first get past her dead father. Jessie and Tommy. In fear of what’s in the attic. Colin. As a medium, he’s used to ghosts. It’s the living he needs to be scared of. Alec, haunted by a tragedy which took place forty years ago. Now the past has caught up. Karen and Matthew, locked in a manor house with the spirit of its sadistic former owner. Irene. All she wanted was attention; now she wishes it would go away. And meet Cara. Disturbed by the presence in her bedsit, and a bloodstain which keeps returning. 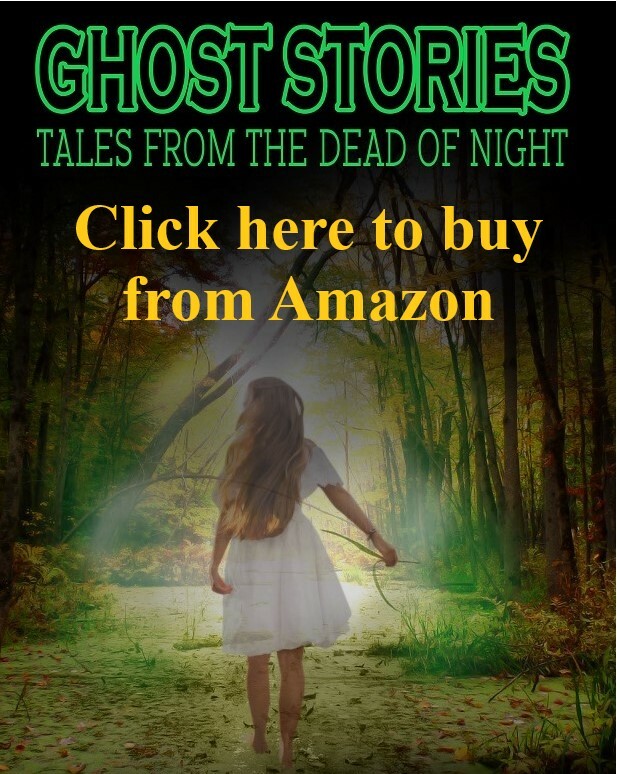 By the author of Dead Girl Stalking, Ghost Stories contains 20 tales from the dead of night which will have you frightened to turn off the light. A book best left face down, under the bed, so the spirits can’t escape. You don’t need to sleep to have nightmares. I love youth theatre. I’ve seen a fair bit in the past couple of years and however much I enjoy professional and amateur productions, youth theatre is where it begins. I’d not heard of Back to the 80s before but being (Ahem!) a certain age, the tunes were familiar to me. I’d also not had any experience so far of Birmingham Youth Theatre but on the night, was not disappointed. Back to the 80s is a coming of age, feelgood romp set in the senior year of William Ocean High School (nice pun) and told retrospectively through the narrative of Corey Palmer Senior (Callum Byrne). Characters are split into the familiar which you would relate to from any school experience. We had the regular kids, the cool guys (Were they ever really cool in our school days? ), the popular girls, the outcasts and the teachers. With a decent script from Neil Gooding, the show is brought to life immediately with Kids in America. Okay, I was sold, and suddenly seventeen again. And the numbers kept coming: Girls Just Want to Have Fun, Let’s Hear it for the Boy, Footloose, I’m Gonna Be (500 Miles), Total Eclipse of the Heart, Material Girl, Get Outta My Dreams (Get into My Car) and The Final Countdown. These were just a selection which made Back to the 80s such a blast. Ending the night, we had I’ve Had the Time of My Life, a song which has never been a favourite of mine, but one perfect to finish on. Also, strangely, another song which I openly dislike, ended being my top tune in We Are the World. Founded in 1987, Birmingham Youth Theatre stage two shows a year, featuring talent up to 19 years of age. And talent was very much on view. What impressed me most was that nobody was left out. Everyone appeared to have dialogue and more importantly, solo lines during the songs. All delivered in great style. Playing the lead role of Callum Junior was Dylan Mulholland who turned in a fine performance. Equally so were Sam Cox (Mr Cocker), Georgia Taylor (Miss Brannigan), Cameron Simpson (Billy), Zak Hayes (Michael), Anna Simpson (Cyndi), Harry Chamberlain (Fergal) and Maddison Clarke (Tiffany). However, those were the principles. I never normally stretch as far as naming an entire cast, but the whole of BYT deserve it, so I will. This includes: Sydney Pope (Mel), Wiktoria Matysiak (Kim), Molly Ewins (Laura), Abbie Hudson (Debbie), Kishan Sambhi (Alf), Daniel Bromley (Kirk) and Holly-Mae Nelson (Eileen). In the chorus, we had Saran Sambhi, Abigail Guest, Abi Shiriane and Karina Galloway. Lastly, a special mention to the lad who appeared to be the youngest member; Dylan-Jak O’Dwyer who portrayed several comic mini characters including Yoda, Mr Miagi and Mario. In charge of production we had Adam Swift (Director), Chris Corcoran (Musical Director) and Sam Depper (Choreography). After the curtains closed I was, as often, the solitary sole applauding the band’s play-out music (Everyone always forgets the band). And I could hear from the stage the cries of “We are BYT! We are BYT!” Something to be proud of, indeed. Album Review – Billie Eilish: When We All Fall Asleep, Where Do We Go?